AUZ Rental Cars- One Stop Destination for All Your Traveling Needs! Melbourne is an adorable city with enormous road networks. The charisma of this city is coupled with mesmerizing natural sceneries where you can spend considerable time and get rid of hectic way of life. 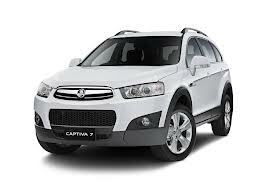 In order to reward and treat yourself with a touch of luxury and comfort, you can opt for car rentals in Melbourne. AUZ Rental Cars is one of the topnotch car rental companies in Melbourne offering compact sedans to SUVs for airport transfer, business transfer, tours, etc. Hiring our cars for your business purposes provides you with many benefits. Driving in our elegant cars enhances the reputation of your company whilst enabling you to travel comfortably. We also offer a number of advantageous packages that let you to save your hard earned money on business transferring. Traveling in a flight can be enjoyable, but it can be weary at the same time. With AUZ Rental Cars which is known to provide affordable and reliable car rental in Melbourne, you need not have to stand in a long queue to book a cab or taxi at the airport after a tiresome journey. Our staff members cater to all your traveling needs and endeavor to ensure comfortable and hassle free journey from airport to your preferred location in Melbourne. Melbourne is one of the top tourist destinations in the world with thousands and thousands of tourists visiting the city every year. With our car hire in Melbourne, we let our customers to explore every nook and corner of this city as per their conveniences. As we boast a wide range of vehicles from small and compact sedans to large vans, you can hire the vehicle as per your requirements. Our car rental services can be used for transferring your guests during special events that you are planning to organize. By picking up your guests from their doorstep to dropping them off at the party venue, we help you with transiting your clients in the most comfortable manner in our fleet of vehicles. At AUZ Rental Cars, we strive a lot to provide you with the best possible services within your budget means. With our seamless services and by traveling in our fabulous and elegant cars, you are sure to steal away the event with glamour.